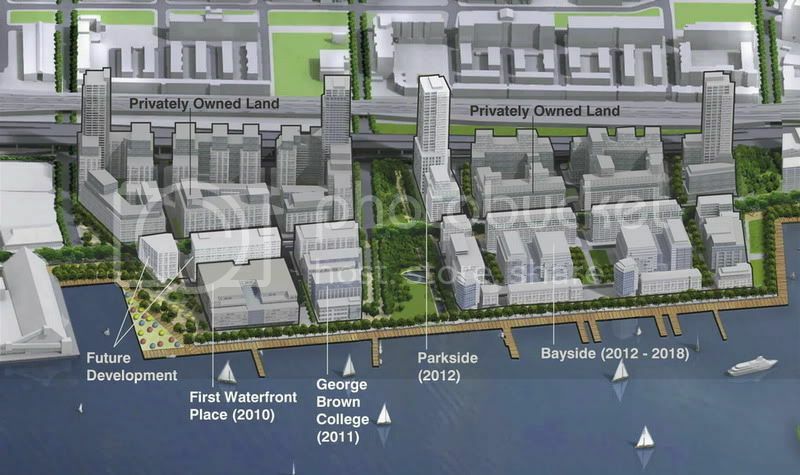 Waterfront Toronto is planning to sell a parcel of land to Great Gulf in the Parkside Area of the East Bay Front. Initial plans are for a 120-metre residential tower on a six-to-eight storey podium with retail-at-grade. Thanks for the excellent news - GG has a great track record and this definitely inspire confidence in the plans for the area. it may give a glimpse into how the project may look like. Interesting there were alot of top development firms in the running teamed up with top local architects. Great Gulf to purchase 12 Bonnycastle St & 5 Lower Sherbourne St from WaterfronToronto for 120-metre residential tower in the East Bayfront. Quite a few big names on that pdf when they are talking about Bayside and Parkside development partners. Can't wait to see what they are planning on coming up with. these renders are so beautiful, I almost wanna cry. If reality is even close to this... wow, what a huge improvement for that part of the city. I hope I live long enough ot see it. Is the Building 120m + 6-8 podium or is it 120 m including the podium?. either way this is a great development for the waterfront. This looks like it is actually going to happen. Along with its other projects in Toronto, it certainly appears that Great Gulf is positioning itself to be a big player in the future development of this city. This company has always had a great reputation. Good for them. Good for the City of Toronto. i'm guessing the dates refer to the start of sales? or construction? btw, does anyone know which brokerage they use for their sales? So they're not demolishing that hideous factory and the large parking lot to the left of this site? The factory and the jobs stay. Redpath was a finalist in the Massey Medals for architecture in 1961. It certainly has it moments. One wonders how viable it is in the long term.